Driven by General Polymers Thermoplastic Materials’ continued growth in the US and Canada, we are honored to announce our new distribution agreement with Lotte Chemical Alabama. 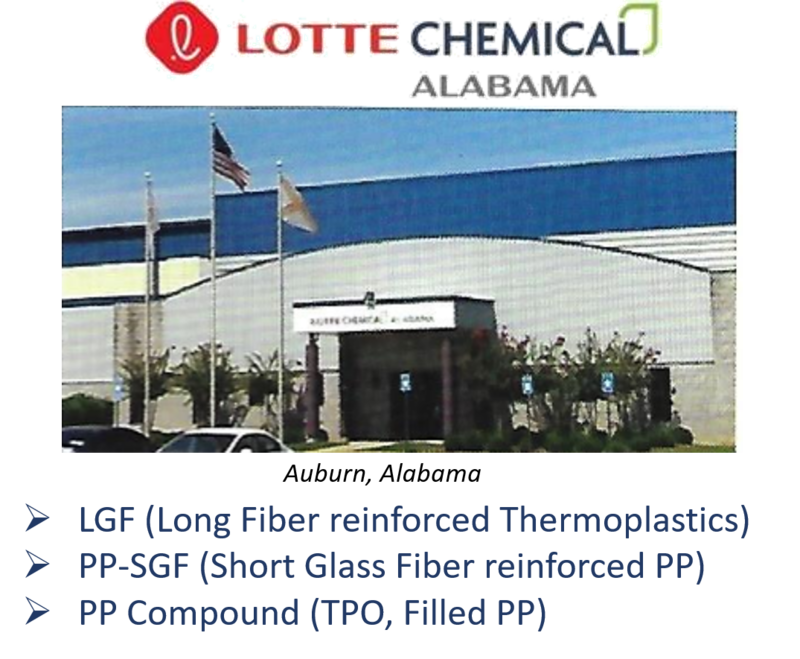 Lotte Chemical Alabama is a leading compounder of short glass fiber reinforced, long glass fiber reinforced, mineral reinforced and TPO polypropylene compounds in North America. With the start up of their compounding facility in Alabama in April 2012, they have quickly become a market leading provider of prime branded polypropylene compounds in North America. SUPRAN® long glass fiber reinforced polypropylene is manufactured with unique impregnation technique. 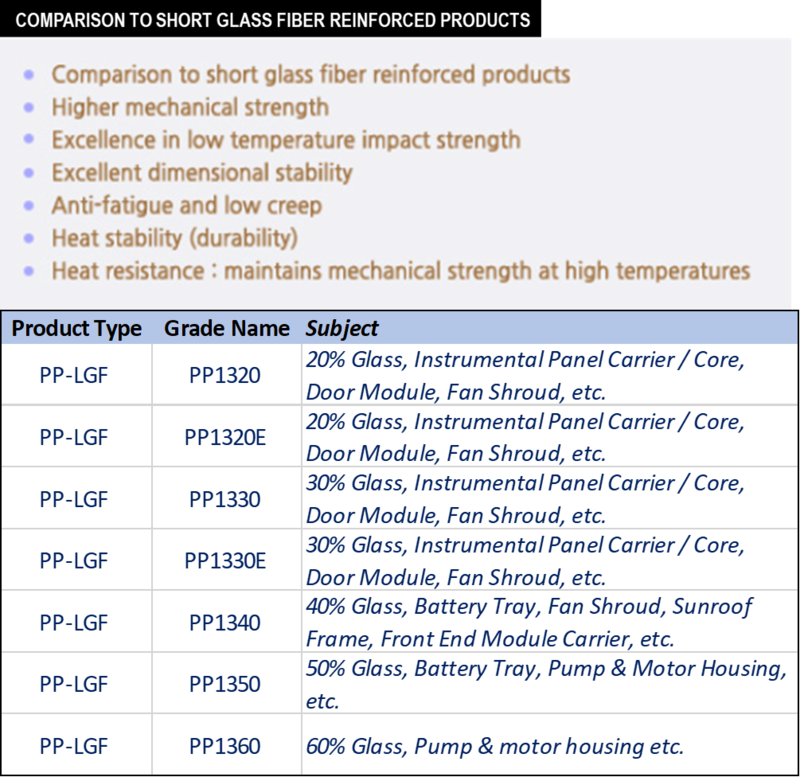 Unlike other short glass fiber reinforced materials, SUPRAN® is reinforced with fibers with the same length (6-25 mm) via unprecedented pultrusion process, and is made into pellets which can be easily applied to injection molding. 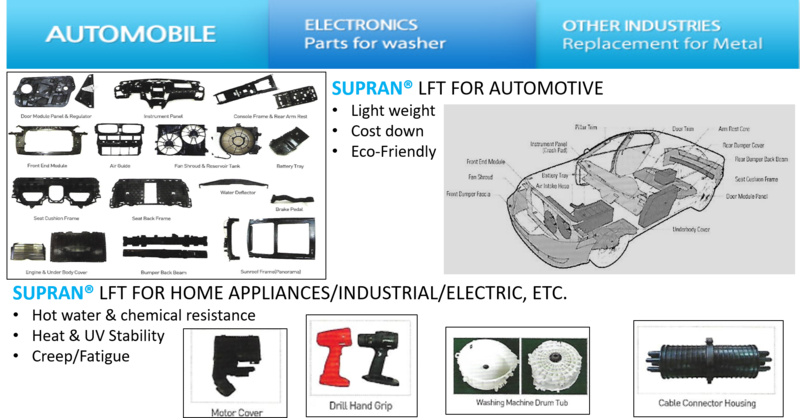 SUPRAN® may be applied to various injection molded products and the final molded product contains randomly oriented fibers in a mesh-like behavior to allow excellent mechanical properties, dimensional stability, as well as heat resistance. FOR MORE INFORMATION ON LOTTE CHEMICAL ALABAMA OTHER COMPOUNDED POLYPROPYLENE MATERIALS, CLICK HERE. General Polymers Thermoplastic Materials is one of the fastest growing multinational thermoplastic resin distributors in North America. We are focused on bein a value driven solution provider focusing on compounded and engineering resins.